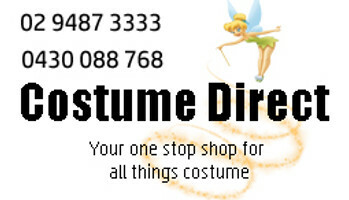 Costume Direct is the one stop shop for amazing Christmas and Nativity costumes! These costumes all come with fast shipping from Sydney, Australia. The story of Christmas is one of the most well-known and revered tales ever told. Today, the story of the birth of Jesus in a manger in a Bethlehem stable is still commemorated each year with parties, community and school productions, and religious celebrations. Costume Direct has a wide range of high-quality, adults and kids Nativity costumes! From Three Wisemen costumes paying homage to the newborn king with gifts of gold, frankinsence and myrrh, to Shepherd costumes, in the journey following the message from the angel Gabriel, to the angel costume itself. We have stable animal costumes - cow, donkey and sheep costumes - as well as costumes for the holy family Mary and Joseph! For your next Christmas play or party, choose CostumeDirect.com.au!